If you thought wedding dress styles were either meringue or Vera Wang, think again. Whether you are getting married or just daydreaming about it, check out the five new key trends hot off the catwalks. 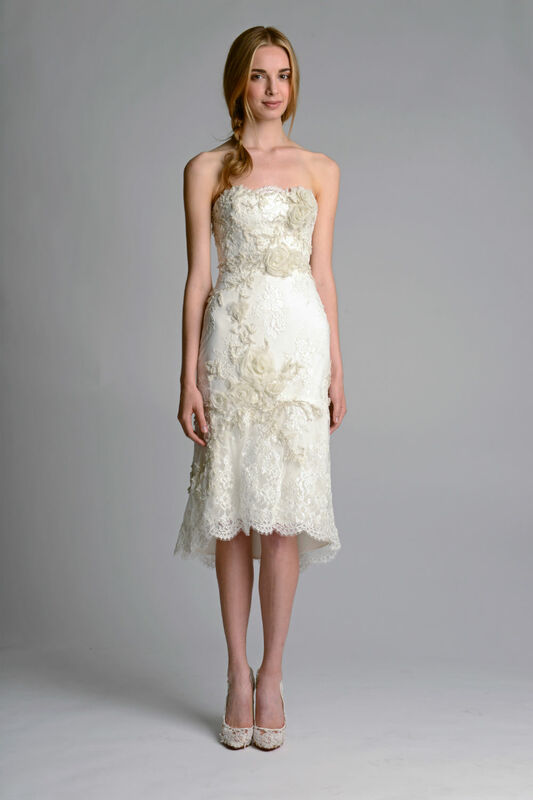 The SS14 wedding dress trends have something for everyone: from frou-frou fairytale to all-pink collections. See our guide below to help you pick your perfect style before you even hit the shops. Just make sure you pimp it up with ruffles, corsage flowers and masses of tulle. Alberta Ferretti used layers of tulle to create drama while Badgley Mishka went all out with huge ruffle tiers. For those that think the princess shape is boring, this trend could most definitely change your mind. According to Vera Wang, we should all be thinking pink. Not for the faint-hearted bride, Wang presented an all-pink collection at New York Bridal Week. It takes a certain amount of courage to wear a wedding dress in a shade other than white but once you are over the nerves, you can embrace your inner princess. 3. Channel the 1920s with a drop waist. We blame our obsession with Downtown Abbey, but the flurry of 1920s wedding dress styles have us all in a flutter. Look out for delicate embellishment on the shoulders and drop waists. Swap your classic fine mesh veil for Temperley London’s crystal Gatsby embellished style to add night time glamour to your day. 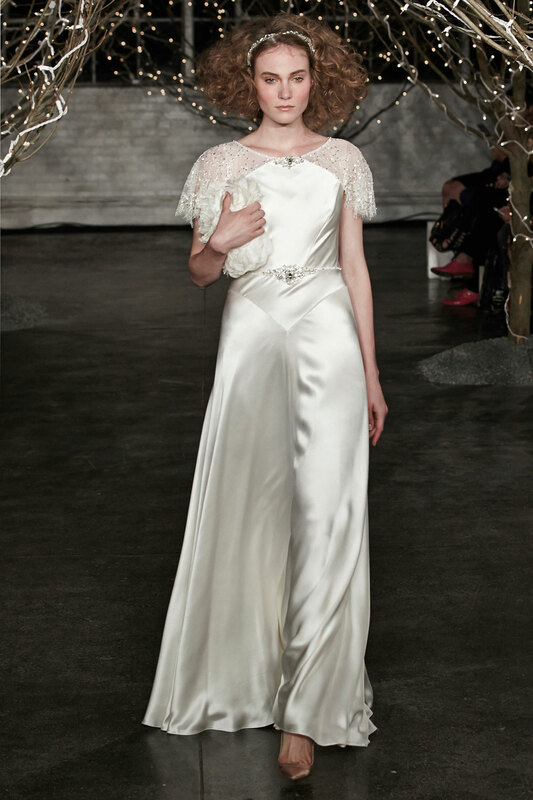 If you don’t want an all0over retro look, just keep it simple in a champagne satin dress as seen at Jenny Packham. 4. Throw out the rule book. A short fancy frock can strike the perfect balance between flirty and classic. Great for petites and those who want to make a statement. The shorter length adds a younger, edgier feel to your look, all that’s needed is a stand-out piece of jewellery. Plus, any wedding dress that gives us the chance to show off our sky-high designer heels is a must in our book. Blame Kate Middleton in her magical Alexander McQueen dress, but lovely lace is going nowhere. To tick off the trend for SS14, ditch the strapless shape and follow Kate’s lead in a lace sleeve. The key is to keep the lace element structured in shape, opt for a fitted silhouette rather than a empire line.